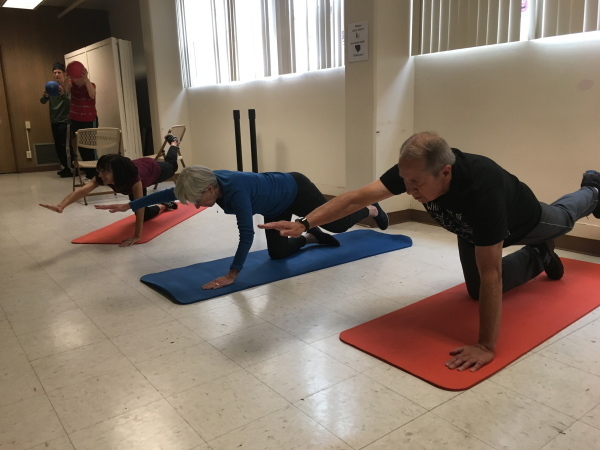 tai chi, dance, balance work, strength training, and yoga, with activities based on Exercise4Brain ChangeTM and the John Argue Method, that specifically target impairments relating to Parkinson's Disease. These include tremor, rigidity, freezing, shuffling, postural issues and slow/small movements. We focus on practicality, safety and fun in an environment that fosters friendships and a cameraderie that brings out the best in everyone. version of the MoveIT! class. Class participants are like you. we work on those too! and teach techniques that can be incorporated into your day to day activities. Parkinson's Disease is a neurodenegerative brain disease that affects an estimated 30,000 individuals in Washington State alone. 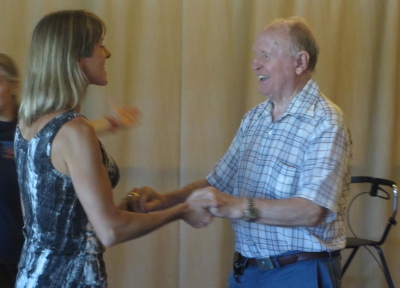 This progressive disease is characterized by tremor, slowness of movement, a shuffling gait, muscle rigidity, lethargy, speech challenges, and a host of symptoms that significantly affect the quality of life for those living with the disease. even reverse the progression of the disease. This gives reason for hope- and an even better reason to Move IT!